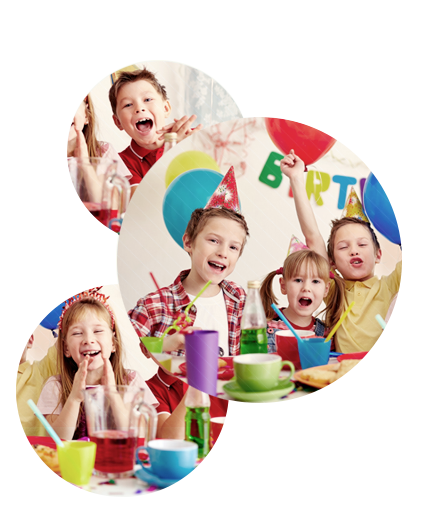 Are you tired of stressing out about where to host your child's birthday party this year? Worry no longer! 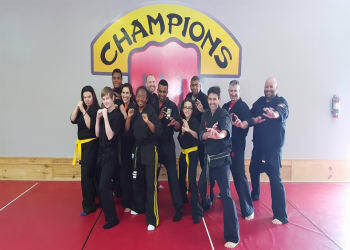 Our Birthday Parties at Champions Martial Arts offer children of all ages the chance to have fun and learn cool Martial Arts moves while celebrating the big day. And the best part is: you won't have to lift a finger. We handle everything! Your kids will love celebrating their birthday this year with amazing martial arts lessons and the many exciting activities we have planned. Whether your child and their friends have been training for years or they've never taken a single class, our Birthday Parties will be perfect. 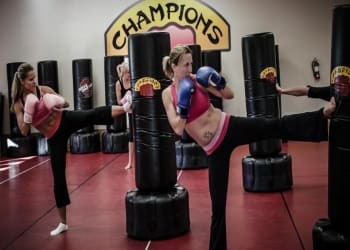 Each party includes a Martial Arts lesson from a real instructor and all of the exercises are completely adaptable to help children of all ages and experience levels get the most out of their party. PLUS the birthday child gets to break a real board! You don't have to spend another minute searching for the best party before planning every detail. Our Martial Arts Birthday Parties include complete setup and clean up by our staff and we'll keep all your party's guests entertained from start to finish. All you have to do it sit back and enjoy the party! Reserve Your Champions Martial Arts Birthday Party Today! Our Birthday Parties at Champions Martial Arts fill up fast! Don't wait until it's too late. To learn more about our Birthday Party packages and to reserve your spot today, simply fill out the form on the bottom of this page and a member of our staff will be happy to provide everything you need!